Our culture is in the midst of a complete revision of the ways we work—an amazing moment when, thanks to technological advancements, workers are both fearing for their jobs and facing unprecedented new opportunities to create the career of their dreams. We urgently believe the time is ripe for a new imagination, new definitions and a new theology of work that speaks to who we are and how we are uniquely made. Since work is one of the primary places we discover and define ourselves, relate to others and live out our faith day by day, our team at Barna wanted to know what is, well, working—and what is not—in people’s approach to the workplace. We are excited to present to you the first study in Barna’s vocation project, a multi-year initiative to examine how people think and feel about calling, purpose, career and the world of work. 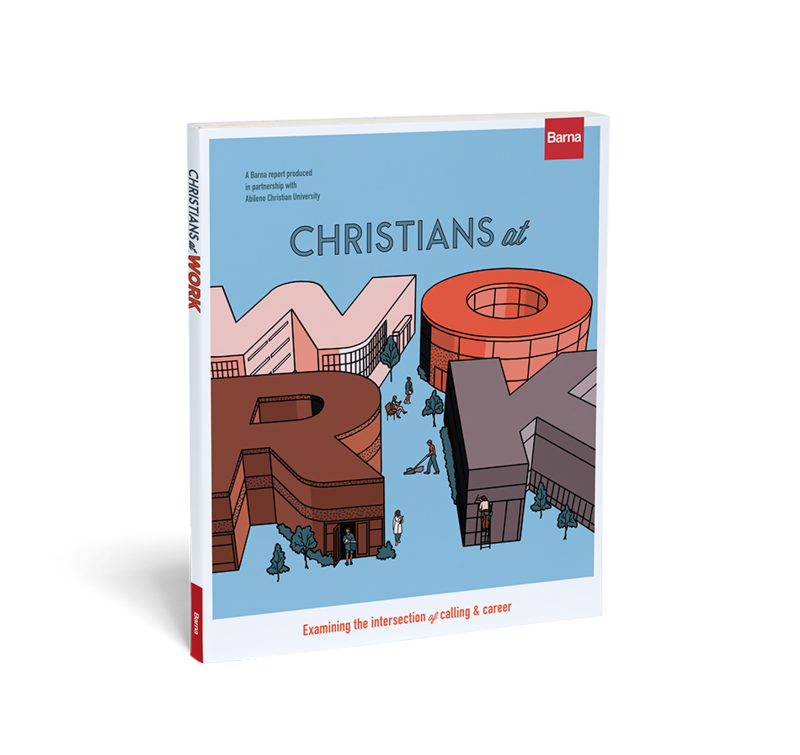 Our brand new report, produced with our partners at Abilene Christian University, reveals there is much to celebrate when it comes to Christians in the workplace! Many are tuned into the idea of calling and feel their current job is well matched with what they perceive they are called to do. It’s not all good news, however. The truth is, churches and other Christian institutions could do a much better job of helping Christ-followers understand how to live out their faith in the workplace—particularly among those who have yet to discover their vocation or integrate their faith and work. Our hope is that Christian leaders will blaze the trail in rethinking what work means and what changes we need to make in order for work to lead to personal and collective flourishing. We believe the Church has a huge opportunity—a responsibility, even—to incorporate deliberate thinking about work into our discipleship and evangelism efforts. We pray Christians at Work will be useful as you strive to understand the times and know what to do!